Aarti is always a pleasure to work with. I have been seeing her for three years, and have never been anything less than 100% satisfied with the results we have achieved together. Aarti is an excellent listener who took into account my holistic needs when formulating a treatment plan for me. We worked together on my problem skin/adult acne and I have been delighted with the outcome. Thoroughly recommend! After having had various treatments elsewhere I was very pleased with the results of the facial contouring treatment. The fact that Aarti is so knowledgeable and very patient was very reassuring. She explained everything and at no time did I feel under any obligation to carry on with the treatment until I was confident in going forward. I am extremely pleased with the results and shall be shortly be having a Threadlift. Dr Aarti is a highly skilled professional, who puts her patients immediately at ease . She gives valuable advice as to what treatments are suitable for you and will steer you away from those that she feels are not appropriate. I cannot recommend Aarti highly enough . I am delighted with the results of my treatment and will never go anywhere else. I had a bad facial injury a few years ago and Aarti has made me feel and look like me again! If you are thinking of having any cosmetic treatments carried out Dr Aarti Denning is the lady to go to. I have always taken very good care of my skin, but over the past couple of years I have started getting many fine lines and uneven dark patches around my cheeks chin and hairline. I did try using all the moisturisers and serums you see in the telly ads, but no joy. At the time of my first consultation with Dr. Aarti Denning, I was applying concealer several times a day, keeping my smiling and other expressions minimum so that the lines wouldn’t show. She assessed my skin thoroughly, asked me a lot of questions, and pointed out which parts of my skincare were not actually helping. She started me on Obagi system, which is not easy, but very rewarding for me. She gave me some great advice, was very professional and is highly knowledgeable in every field I spoke to her about, which was very reassuring. She listened and I achieved exactly was I asked for. Aarti is fantastic. I wouldn’t go anywhere else! Dr Aarti’s manner is calm, professional and friendly. She takes time to explain treatments and results. She is an artist as well as a doctor. I can recommend her most highly. Dr Denning is an extremely accomplished aesthetic practitioner – her primary goal is to ensure you have healthy and glowing skin and will only recommend treatment that is appropriate for you and will actively discourage you from treatment that would look unnatural or is not necessary. I travel from London to see her. She has a great personality and makes you feel extremely comfortable. Dr Aarti has been treating me now for over 6 years. Having been previously disappointed with results from other clinics when I did meet Aarti for my initial consultation I was pleasantly surprised and immediately at ease and felt that I was in good hands. I have now had multiple treatments including facial injectables and dermal fillers to reduce the appearance of facial scarring which I have always had personal concern about. I have consistently been astounded with the natural looking results. Dr. Aarti is professional, highly qualified and experienced and in my opinion she has a unique flair for Aesthetic treatments which really requires an eye for detail. She is a genuine lady who is truly interested in taking the time to listen to her patients needs – I cannot recommend her enough. Dr Denning has been a delight to work with during my rejuvenation process. The products that she recommended (OBAGI) are excellent. I have seen significant improvements in a very short time. Dr Denning is excellent at recording your images digitally. I would not hesitate to recommend DR Denning and look forward to working with her for years to come. I spent around 6 months going back and forth with Dr Aarti in regards to the issue I was hoping she would be able to address, which I knew would involve more than one treatment potentially. During this period of time I was quite nervous as this was the first time I had looked to undergo an aesthetic procedure and wanted to take my time considering my options. Aarti was very supportive and patient through the course of our back and forth emails and spent time trying to understand my wants and advised me on that basis, not once did I feel pressured to book a consultation or procedure. When I was finally ready to book my consultation with Aarti I entered the practice already feeling safe and in capable hands and felt Aarti already had an understanding of areas I was unhappy with. I am a female in her mid twenties and have lost nearly 4 stone across about 18 months and was left unhappy with the lack of fullness in my face. I spent a lot of time, well over the standard hour, with Aarti in my first consultation discussing lots of different areas I was displeased with and was actually pleasantly surprised by Aarti’s approach of making you the best version of yourself rather than focusing on aspects of celebrity’s faces that I admired more than my own. I left my consultation feeling like I understood my own face better and with a treatment plan that would address the issues I was unhappy with whilst leaving me looking the best version of myself. I also left realising that there were areas of my face that I did not need to change and Aarti helped me understand why these areas are positives, she is not the type to treat you just for the sake of treating you, I believe patient satisfaction and safety is absolutely Dr Aarti’s top priority and this is evident immediately. Not once did I feel pressured to undergo any procedure and was refreshed with Aarti’s approach of less is more and to take your time with treatments. I have no hesitation in putting my full trust into Aarti and have now undergone a couple of procedures which I have been extremely pleased with. In regards to the treatment which was fillers, I felt minimal pain or discomfort, Aarti is very compassionate and ensures you are comfortable at all times. I would highly recommend Aarti and always look forward to my next appointment! From the moment of entering Dr Narayan-Denning’s premises I felt relaxed and at ease. Aarti has a friendly and professional manner which lets you know that you are in safe hands. I am not a person who will blindly follow advice, I like to be well informed and do a lot of research before considering any cosmetic procedure, no matter how simple or straight forward. I ask a lot of questions and like to be given options and understand the process and possible side affects of any procedure I am considering. Dr Denning more than indulged me in this. I have never known a cosmetic Doctor to be so thorough and in depth with both their consultation and detailed analysis of my face. Aarti spent two hours (at no extra cost to myself) taking photographs, analysing my face, eliciting from me exactly what my desired outcome was and then giving me various options. Each option she gave was explained in great detail, using diagrams from the Internet and before and after pictures. She explained the way that fat and muscle tissue behave around the face and what effects -both good and bad- the carrying out of certain procedures will have as a result of this. Do not expect that Dr Narayan-Denning will ask you what you want and then carry out your commands obediently. I was told in no uncertain terms that a certain procedure I requested would not be suitable for me at all, and then made to understand why this was the case in great detail. I was certain that the doctor would rather lose my custom and money than risk her fantastic reputation with less than perfect results. Aarti actually listened to my desired outcome and I really felt that she knew exactly what I was saying, even though my descriptions were vague and muddled. She then translated this to perfectly suited cosmetic procedures and I am absolutely astounded with the results. I never thought it possible to achieve such results without surgery. I was, and still am amazed. The premises is spotless and well equipped with a very relaxed atmosphere and Aarti is so easy to talk to that I felt completely at ease. She ensured that each procedure was as painless as possible (far more so than other cosmetic doctors I have visited). I have been having cosmetic procedures for 14 years and have never been more impressed by a cosmetic doctor. I have never known such great advice leading to the perfect procedures for me and absolutely astounding results. I will most definitely never go anywhere else for any cosmetic procedure I consider in the future!!!! Having considered treatment for a while, Aarti is the first & only person I’ve trusted. She’s honest about treatments & expectations, explains everything without any pressure (in fact she encourages you to take your time & have a think or do some research) & just instills so much confidence. And what’s more the results have been fantastic. Would highly recommend. Even is you’re still unsure or feeling nervous-go & see Aarti for a relaxed consultation with no pressure applied. I have creases in my forehead created by sleeping on my front. I have previously had botox to try and alleviate the problem but dont like the ‘frozen’ look. The botox helps with the creases but doesnt altogether eradicate the problem. Aarti suggested filler to my hairline to help tighten my skin and a smaller amount of botox to control frown lines but allow movement. I was apprehensive about fillers but the results have been great. The brow lift with fillers was a much better solution for the creases running from my eyebrows to top of forehead and the botox has not ‘frozen’ my expression. I had the procedure in February (beginning of) and we are now into May. There is no need for anything further to be done at this time. I will definately be going back to Aarti for further work when required and cannot recommend her highly enough! Thank you. I had been looking into treatment for some time due to what I perceived to be a sagging neck and jowls due to ageing. After reading positive reviews I decided to visit Dr Aarti for a consultation. This was very thorough and explained why our faces change with age and the procedures available and what could be realistically achieved, this helped me in deciding the best treatments. I have now finished my second treatment and am extremely happy with the results, I look and feel fresher. My children have commented how good Mum looks as does my husband who loves me however I look, as this was for me. I have no hesitation in recommended Aarti, as I tell her, she is more than a doctor she is an artist and wants the best results for you. I have been visiting Dr Aarti Denning for some years now. I had treatments before I finally found Dr Denning, the experience with my previous treatments was that I felt the money they could make from me was more important that me. When I found Dr Denning my experience with her was a complete transformation from before. Dr Denning is a patient centred practitioner who is very passionate about supporting her patients with the ageing process. It is very important to me that I feel I am being listening to and understood after all I only have one face. Dr Denning is extremely knowledgeable and understands the science that sits behind the treatment and the outcomes that can be achieved. Dr Denning is simply the most professional, caring, empathetic and passionate person who makes you feel completely at ease. I have personally had many treatments from Botox to cheek and lip fillers and never been disappointed. If you are considering support with your ageing process then I would without hesitation email or pick up the phone to Dr Denning you will not be dissapointed. Thank you Aarti I absolutely love my new lips. I have been a patient of Aarti for a couple of years now and without doubt she provides the best care for all my skin concerns with results that exceed my expectations. Beyond her warm, friendly manner, Aarti is also extremely talented , skilled and knowledgeable in what she does. Being treated by her , she will give honest advice with your interests being priority to ensure you have the correct treatment for your concern. I feel very comfortable knowing I am in safe hands and Would like to Thank you for building my confidence back up with your kindness and top quality work. Aarti takes the time to get to know you and what you want from the procedures. Throughout the treatments (I had the 8 point lift) she carefully explains what she is doing and why. I’ve been seeing her for three years and am always delighted with the results which are natural and long lasting. I look forward to my sessions with Aarti, it’s like therapy! 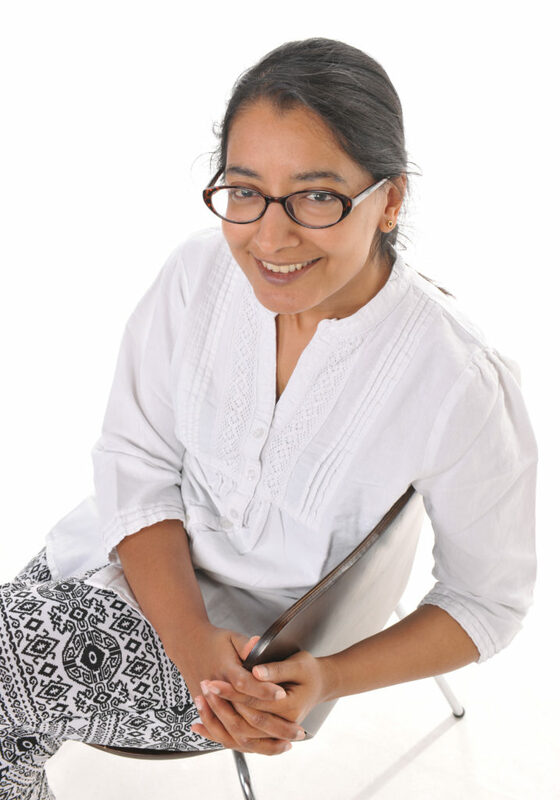 Aarti is lovely, she gives great advice and makes you feel relaxed and confident. I have some deep lines or furrows on my forehead that don’t improve with botox, so I discussed filler treatment with Dr. Aarti Denning. I am conscious of the risks of bruising, and terrified by the horror stories about “filler blindness”, so it was a relief when Dr. Aarti told me that fillers in the upper face almost always have to be done with a device called a “cannula”. This is a blunt tube with holes on the side that when used correctly, helps to avoid injury. She also told me how it was best to correct any defects in stages, to avoid stretching the skin. I had some numbing cream applied, then a tiny bit of pain when the entry point was made, after which there were just some pushing sensations. The effect was immediate, and looks better now after 4 weeks. There were only 2 needle marks, hardly any visible sign of having treatment done. My forehead moves normally now but without the deep fold across the middle. Very pleased. During the past couple of years i have been to Aarti for medical cosmetic treatment like botox, fillers and thread lifts, and recently also for private GP services. I would highly recommend her to anyone considering these treatments and want impartial advice. She is very knowledgable and proffessional, and the results are excellent. I feel safe and well looked after. I am very happy with the personal sevice. When I visited Dr Aarti, I was expecting to have treatment for the thread veins on my legs. After carefully examining my legs, Dr Aarti advised me that the treatment would not have a lasting effect and I would get the same results by wearing compression socks. I was impressed by Dr Aarti’s honesty and professional advice. I would not hesitate in recommending her to my friends and family. Dr. Aarti is reassuringly professional, and always ensures she is doing the right thing by her patients. She never encourages excessive treatment – she even told me not to have botox right away as there was not enough muscle activity! She listens to what your needs are, and then discusses the options. She made me look ”fresh” rather than ”frozen”, and also helped me with advice on more general skin care troubles and routine suggestions. I work closer to London now, but will always find the time to visit Aarti, as I cannot imagine finding anyone more principled and passionate about what they do. I am 45 years old and was looking tired and after an in depth consultation with Dr Aarti N Denning I booked up PRP also known as the Dracula or Vampire Facial. Although I am an extremely nervous patient I felt completely safe and at ease throughout the whole procedure due to Aarti explaining everything in a calming professional manner. The results are absolutely fantastic and so natural looking. I have received so many positive comments from friends and family about my fresh look. I am generally happy with how I look, but want to age at my own pace. Love the thought of stem cell treatment, and have not ever had any btx or fillers in the past. Fortunately I had a very informative consultation with Dr Aarti Narayan-Denning, and picked up the nerve to have a “platelet treatment” or PRP (Platelet rich plasma) treatment, sometimes called the vampire facial. To me this was the goodness from me being pumped back into me. The procedure was not as painful or as traumatic as one would have expected (or after seeing youtube videos lol or the one with Kim Kardashian which is so not what it is really like!). Dr Denning talked me through the whole procedure which to be honest was utterly fascinating. I felt completely safe and at ease all through, and this was down to Dr Denning’s calm and professional manner and clear explanation of her actions throughout the treatment. The result is spookily good – I saw some results immediately, but today, after my 4 week review, we compared photos, and it is true that best effects are seen as your skin goes through its natural regeneration cycle using the goodness that has been pumped into it. I am absolutely delighted with my look. For me it is a dramatic difference in wrinkles lines. Friends and colleagues have mentioned how well I look but have actually joked that I couldn’t have succumbed to botox as I don’t have a “frozen face”. I would definitely recommend this treatment especially for those wanting to go down the “natural filler” route but still wanting amazing results. Thank you Dr Denning. Yes, I will definitely recommend this doctor and this treatment, and don’t forget to follow the advice to prepare for it, becos it does work.